1. Mash the banana in a bowl with a fork. The consistency needs to be just right. Not too runny please. 3. Heat a nonstick pan on medium heat. After a minute, reduce to a low fire. 4. Ladle the pancake mixture into the pan one at a time. 5. 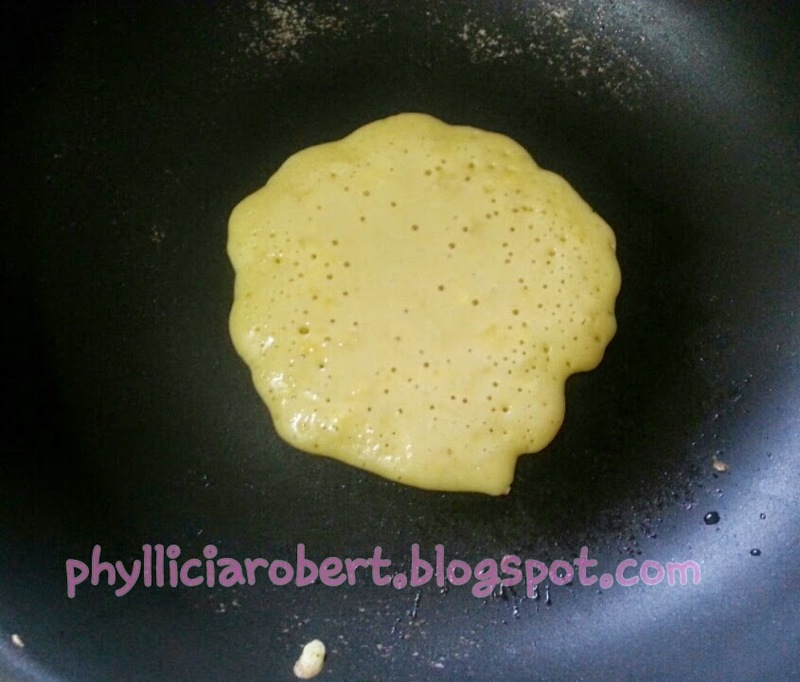 Flip the pancakes when small bubbles start to form on about 80% of the pancake surface. Macam ni baru flip okay..
6. Leave for 2 minutes before removing it from the pan. 7. 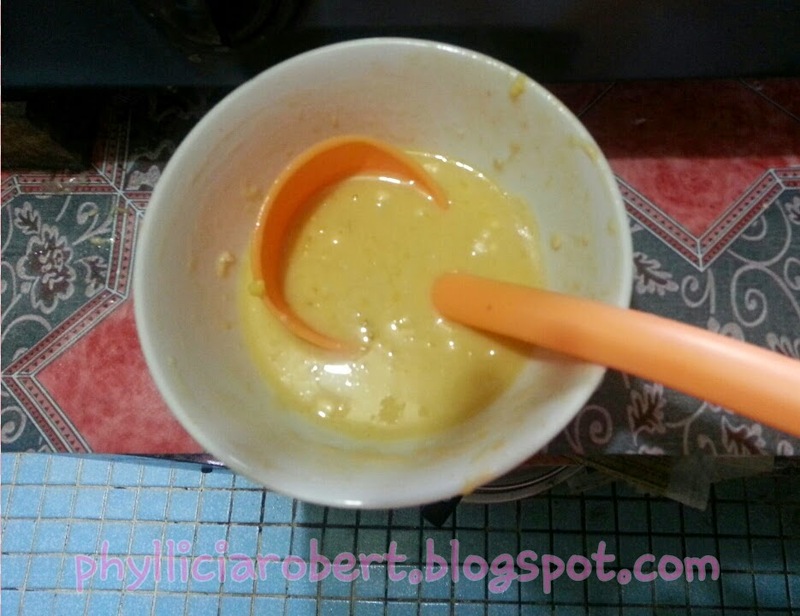 Continue until the mixture finishes. 8. Serve hot with butter and honey. Makes 4 medium sized pancakes. 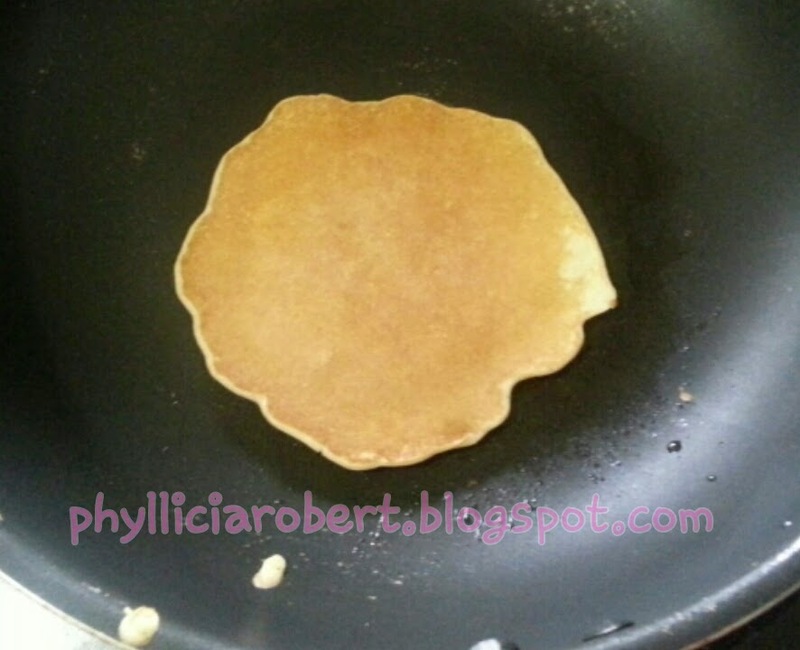 P/S: To make a basic pancake, omit the banana and add 1 more teaspoon of brown sugar if you're having it plain. Do you like pancakes? Tell me in the comments section below. If you tried this, tell me what you think below as well. My two favourite things mmmm!! Omg, I can never get them to look like pancakes! I love cakes and muffins made from banana. Never knew pancake can be made from banana too. Must be very tasty! Hi Mun. It is! Do try the recipe. I especially love it when I bite into little banana chunks in the pancake. I love pancakes! I've never tried banana ones though. These look delicious. These sound yummy with a capital YUM! 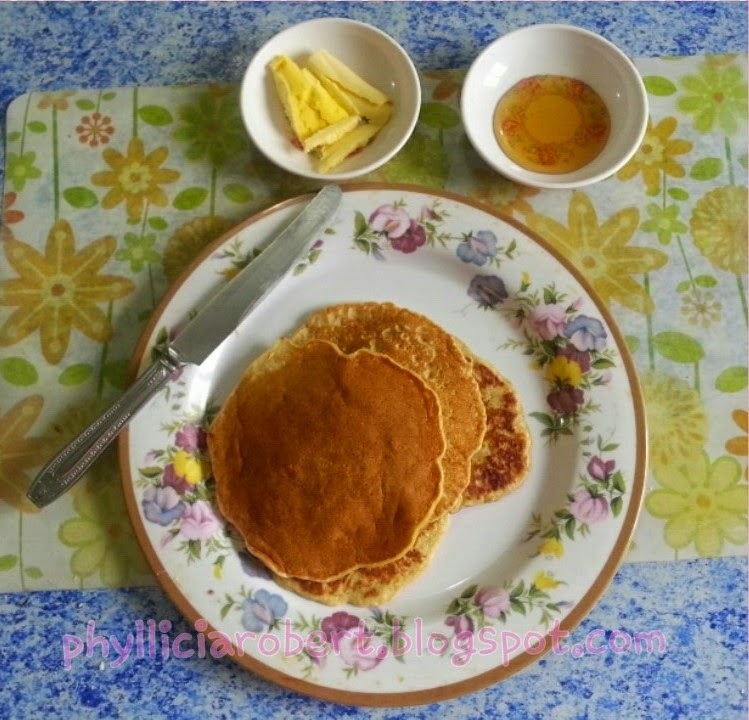 :) I adore banana pancakes, and so does my husband. We're especially keen on adding dark chocolate chips or pieces to the batter for an extra special treat. Hi Jessica, thank you for stopping by. Ooohh, adding chocolate chips/pieces to banana pancakes is certainly a treat. Can't wait to try making it.